Copper Beech Estates is a collection of 7 custom-built executive homes on impressive estate lots on Burke Mountain. The ownership of Marcraft Homes has a 30-year history of building high-quality custom family homes in Anmore and the Tri-Cities. It is a family run business that prides itself on its customer service and attention to detail. 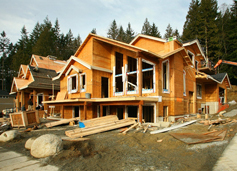 Having built its reputation on single, high-end custom homes, Marcraft Homes will deliver some of the most luxurious and exclusive homes in the Burke Mountain Area with Copper Beech Estates. Copper Beech Estates is located adjacent to Birchwood Estates at the upper end of the current Burke Mountain development. These fully-customizable homes with superior finishings range in size from 4,300 – 4,500 square feet. Several of the lots are still in the design stage, and the floorplans may be customizable. Copper Beech Estates by Marcraft Homes is now SOLD OUT. From just under 7,000 sq.ft.